It’s that time of year when we start to put the fire on in the evenings and snuggle up under a throw on the sofa. Well, I know I do! Even though the house is warm and cosy, I still find myself getting a little chilly as the night draws in, and I like nothing better than a soft, warm throw to snuggle under. My girls are just the same, and they even take their favourite blankets with them in the car as we head off on a journey. So, with that in mind, I felt inspired to showcase some of the trends in throws currently and make some suggestions on how you can use yours to dress your home. The trend for a Faux Fur soft furnishing doesn’t diminish, and this incredibly luxurious and decadent two tone faux fur throw is a great example. Heavy, fleece lined and deep piled this would be a welcome addition to any home this Winter. Throw it on the bed for the colder nights, or snuggle under it with a loved one on a chilly evening. Using a throw on leather sofas and chairs is a great idea too, as these fabrics tend to be chilly to sit on initially. This one comes in at £60 and is a good price for something so heavy and luxurious. The Ombre look is big in fashion, and even in hair, so it’s no surprise to find it in homewares. 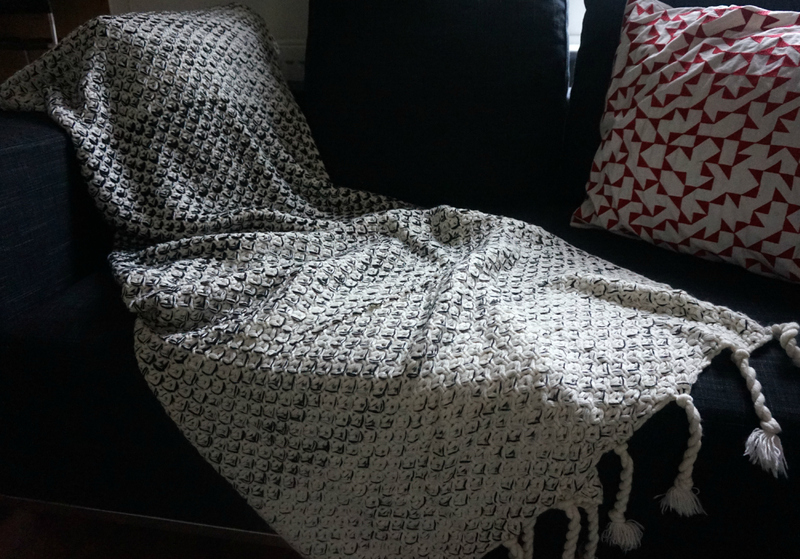 This heavy, knitted ombre throw picks on that trend brilliantly, also managing to incorporate a little monochrome along the way. 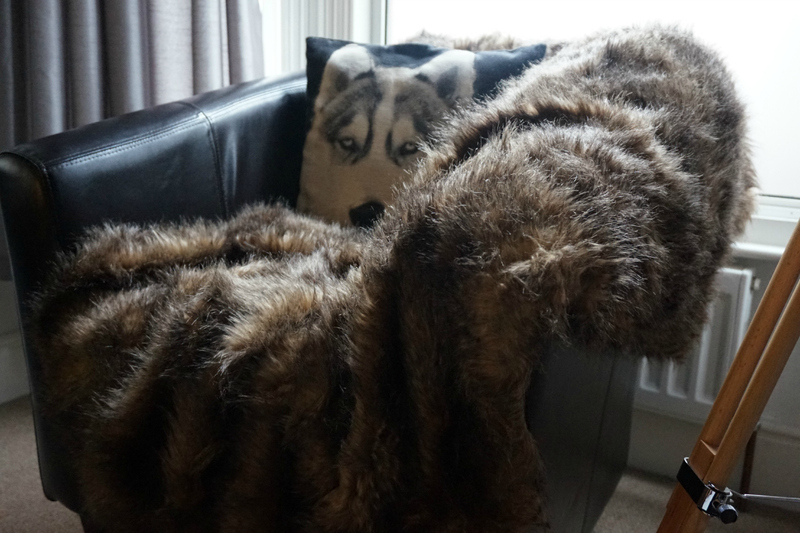 I’ve been using this one on my bed, but you can see it here in our den, on the grey fabric sofa. At just £40, it’s a great bargain too. It’s surprisingly heavy, so keeps in the warmth, but doesn’t feel bulky. You can buy both of these throws from BHS here, as well as hunt out some other fabulous trends in throws and blankets. Thank you to BHS for sending throws for the purpose of this article. The comments, opinions (and cushions) are my own.